They might only be a few pieces of fancy card and paper. But wedding invites are a vital element to a wedding day. They help your guests get prepared and offer a glimpse into what your big day is going to be like. 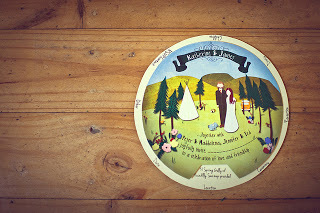 Unfortunately, many couples are disregarding the importance of wedding invitations. This is often because they see them as an unnecessary expense. It’s easier than ever to send an email inviting all of your guests, and it’s free too. But while traditional invitations can be expensive and time-consuming to make, they are worth every penny. Here are some fantastic reasons why wedding invites are still necessary and important for your wedding. Obviously, one of the main reasons why invites are so essential is because they provide vital information. 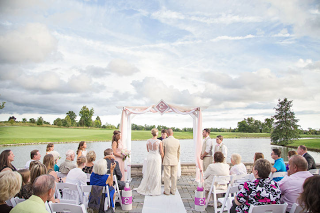 They tell your guests the date, time, and location of your wedding ceremony and reception. While also telling them what to wear, where to find accommodation and how to RSVP. You might even want to include directions, maps and menus too. This is crucial information will help your guests plan ahead and get prepared for your big day. This might entail hiring child care, buying an outfit or getting time off work. 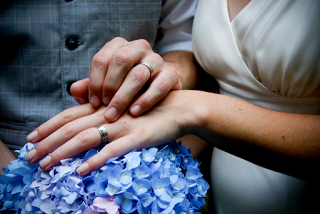 Knowing your wedding details will also help them establish whether they can attend or not. This can then go on to help you plan how much food, drink and seating is needed throughout. As well as providing information relating to your big day, invitations set the tone for the day too. They should showcase your theme and offer a quick look into what your day will involve. 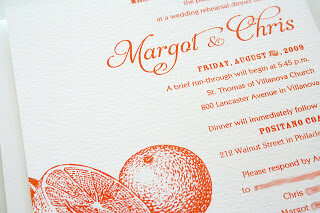 If you’re planning on using a vintage theme, for example, your invites should portray this clearly. If you decide to use a sleek and modern design instead, this will just confuse your guests. 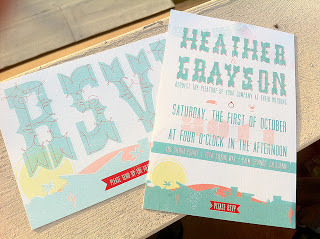 It will also show that little thought and care has been put into the design of your invitations. So whether you choose cheap laser cut wedding invitations or expensive custom made ones, make sure they set the perfect tone. That way your guests will know exactly what to expect. While sending an email invite is convenient, it doesn’t evoke the same emotion as a traditional invitation. The joy that comes from receiving an invitation through the mail is unrivaled and cannot be replicated. Your guests will love to open the envelope and read through the details included. This will fill them with immense anticipation, and they can start looking forward to taking part in your celebrations. The invite allows your guests to share in your excitement and start counting down the days until your big day arrives. If you’ve given the design of your invitations plenty of thought and consideration, your guests will also feel more inclined to keep it. This can be a wonderful keepsake which they can look back on and treasure. So while sending an electronic invitation may save you some money, it won’t give your big day the impact it deserves. So start designing beautiful invitations that provide your guests with a fantastic first impression. 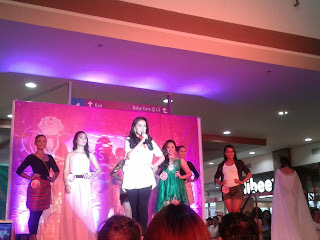 I happen to visit the city of Tacloban yesterday. The city is getting colorful and busier. I was riding a public utility vehicle, I noticed lot of stores sprouting in the street. It only happen during fiesta celebration. It was created by the former First Lady Imelda Marcos in 1976. Sangyaw was abolished when the late President Corazon “Cory” Aquino was elected on 1986. 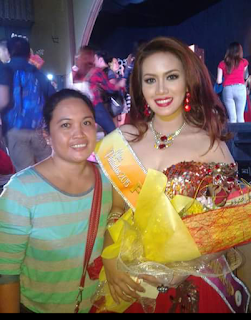 It was however revived by Mayor Alfred Romualdez, a nephew of the former first lady, on June 29, 2008. Sangyaw festival showcases the rich cultural and religious heritage of the natives of Tacloban and the province it belongs to. Every year, warriors painted in colourful costumes, women performing elaborate rituals and the incorporation of Christianity are just few of the performers and activity to watch out for during Sangyaw. The devotion to Sto. 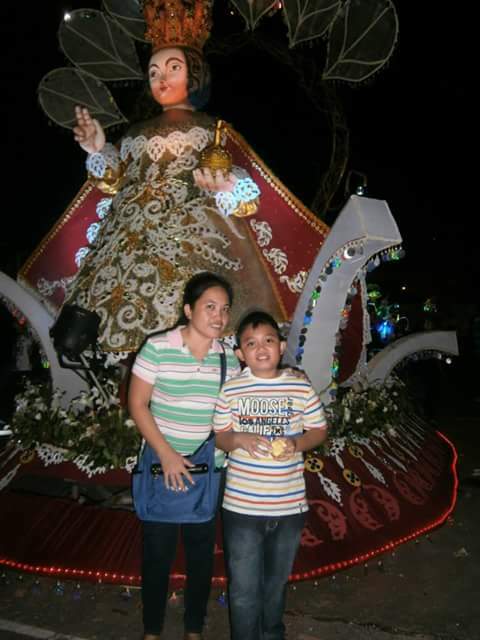 Niño, patron of Tacloban City, is the main attraction of the festival. The Sangyaw is based on a popular belief that the statue of Sto. Nino miraculously survived a shipwreck around 1880’s. This was after the original icon, brought by the Spaniards in 1888, has to be back to Manila for reconstruction and refitting. On its way back to Tacloban, the steamer “Luzon” which was its carrier caught in a disastrous fire and sank. The patron was recovered in June 30, 1889 when the Governor of Leyte received a letter from Military Governor Jose Gil de Avalle of Mindoro stating that Barrio Lieutenant of Barrio Semirara in Mindoro sighted a box labelled “Santo Niño, Patron han Tacloban.” Following the recovery of Sto. 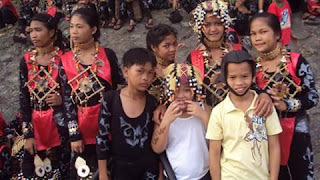 Niño, thousands of devotees joined the “salubong” in Balyuan Tower, near the Sto. Nino parish. 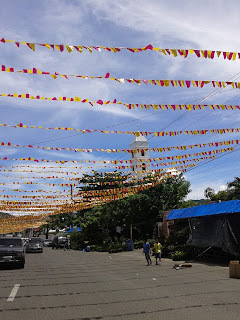 Currently, the Sangyaw Festival is a co-celebration of that popular belief by adjoining with other localities from all over the Philippines to showcase their rich cultural heritage thru dances and religious belief. The Pintados Festival is a cultural-religious celebration in Tacloban based on the body-painting traditions of the ancient tattooed "pintados" warriors. In 1986, the Pintados Foundation, Inc. was formed by the people of Tacloban to organize this festival in honor of Sr. Santo Niño. Different Festivals from all over the region showcasing their talent and dancing and religious belief. Years later, it was merged with the Kasadyaan Festival which is always held on June 29. Aside from two festival beauty pageant is also one of the highlights of the fiesta celebration. Its Ms Tacloban, Ms Pintados and Ms Teen Pintados. Summer is now upon us in most parts of the world, including here in the US. And that means that we’re fast approaching that time of year when school’s out. It’s all great news for kids, of course. Finally, they’ve got a long break where they can enjoy things besides school work. 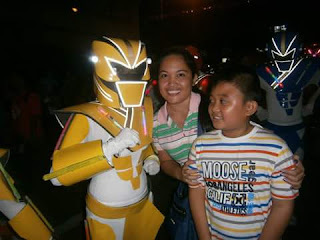 But for us moms, it can be a nightmare figuring out what to do with our kids. Here’s the good news: it’s not as difficult as you think. 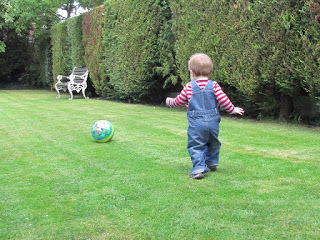 There are plenty of ways to entertain the kids and to make sure that the summer holidays doesn’t turn into a bore fest. Here’s how. Treasure hunting has been a favorite pastime of children from time immemorial. Nothing quite evokes a sense of adventure more than going on a journey, looking for buried loot. But here’s where you can make it even better. You can design your own treasure map, full of cryptic clues, or you can make one with your child and get them to be creative. Whatever you choose, there are infinite options. Perhaps you could start your treasure hunt by giving each child a list of things that you want them to find in the garden. Maybe they could look for something shiny, something round or something blue. Perhaps you could send them out looking for different flowers, like daisies, dandelions and buttercups. If you are feeling very adventurous, you could come up with a riddle that would lead them to some buried treasure. 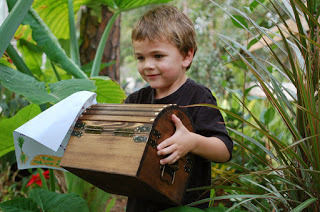 Whatever you choose, treasure hunts are a great way to keep kids entertained for hours, if not days. 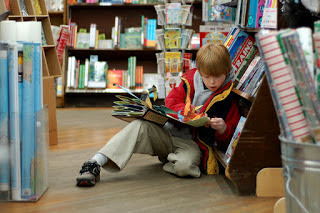 The summer is a great chance for children to get away from the drudgery of their school work and to start reading for pleasure. Reading is one of those essential life skills. And now that we live in the information age, it’s becoming even more so. But too many children fall behind because they’re uninspired by the reading they do in school. Here’s your chance to shine as a parent. Grab a few books and introduce them to the world of fiction. It could be fiction on any subject. Perhaps sci-fi, perhaps fantasy, maybe crime even. Whatever it is, make sure that it strikes a chord with your child. They’re not resistant to reading because they don’t like doing it in general. They’re resistant because of the way that they have been forced to do it against their will. But, as their mom, you’re the one who knows them best. And so you’ll have a good idea what sort of book they’d be interested in reading, and what they wouldn’t. Nothing smacks of summer more than kids playing baseball in the park. It’s the quintessential summer activity. But why only do something that is unstructured, like a play a game down the park? Why not keep them busy over the summer enrolling them on a summer baseball course? Of course, if you decide to go down that route, you’ll have to get them the right equipment. Sites like http://www.thebaseballdiamond.com/best-drop-10-baseball-bat-models-can-get-today/ do baseball bat reviews. Just make sure that you choose a bat that's the right size for your kid and avert disappointment. Do you remember when you first saw one of those ring frisbees flying through the air? It was a sort of magical sight, seeing something fly so fast and so far. It’s this kind of thing that kids find enchanting. Frisbee is an exciting sport, and there’s a lot that kids need to master before they get good. It’s also a highly physical sport, in a fun way. Playing frisbee will exercise your children like nothing else as they charge as fast as they can to catch it. It is also good for developing coordination, something largely forgotten in today’s digital world. The sport isn’t just for kids either. It’s become a serious adult pursuit too, and there are hundreds of clubs up and down the country dedicated to the sport. The great thing about water fights is that the fun never seems to end. Kids will happily soak each other for hours on hot summer days. What’s so cool about kids’ water fights are all the little rules that emerge. It may look like complete chaos, but kids are great at applying their own unique structure to the event. You don’t have to rely on expensive water pistols, of course. Hoses, wet sponges and buckets should do the trick. The summer is the one time of the year that kids really get to explore new things, outside of school. And so as moms, it can be an opportunity for us to help them find new interests. Right now, there are hundreds of potential summer courses that they could go on. Perhaps you have a very academic child who loves languages. Here’s their chance to learn something new, like Mandarin. Or perhaps your child is keen to find out more about nature and wildlife. There are all sorts of kids camps available for them to stretch their eco-warrior legs. As sites like www.sheknows.com point out, there are plenty of options. The great thing about summer courses is just how much time they take up. Here’s an excellent way to get the kids to do what they want while giving you a break too. Most courses will put the kids up overnight, either in hostels or camping. And so you can grab at least a couple of weeks during the summer break for yourself. Kids love crafts. And so should moms. They’re an excellent way to spend a sunny summer’s afternoon. But you don’t have to stop at just doing crafts. Why not turn crafts into a game? This is where bottle bowling comes into play. 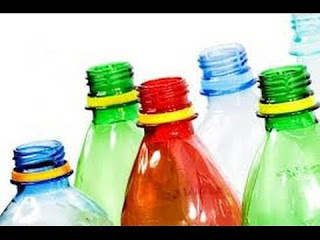 Grab some empty plastic drinks bottles. Don’t worry if they’re different sizes; that just adds to the fun. Then start painting the outside. You might want to paint different scores, but you can really do whatever you like. Then fill them with sand and viola, you’ve got your own set of bowling pins. If you’ve had a few nights of disturbed sleep, you might be feeling fatigued and grumpy. But when your kids struggle to get through the night soundly you can end up fatigued and grumpy about their behaviour! Kids don’t cope well if they have difficulty falling asleep or staying asleep. It happens to most of us at one time or another. But when it goes on for a while, you might be wondering what more you can do to help them. The time your child eats may have an effect on how well they settle at bedtime. Try to finish the meal two hours before you expect them to be tucked in. That way, they have had a chance to settle their tummies and won’t feel an urge for the toilet as soon as you kiss them good night. Try to avoid any meals or desserts that are high in sugar. This can be hard to do if they’ve just come back from a children’s birthday party! Water is the best drink at dinner time, and chocolate should be avoided altogether. Chocolate and other sweets can act as a stimulant, making it difficult for your child to settle down. Mealtime battles can also spill over to the bedtime routine. It could be worth delaying those efforts to introduce more vegetables for a couple of nights! The time after dinner is the perfect opportunity to play. In the summertime, they may be running around in the garden. Try to avoid tablets, computers and mobile phones this close to bedtime. It is thought the blueish light from the screens could delay the brain’s ability to drift off to sleep. Some quiet TV snuggled up with you could be a nice way to calm things down. Why not read a couple of books together? It might be best to avoid any more drinks after dinner. Getting up for the toilet is one of the reasons children commonly struggle to get enough sleep. In the last thirty minutes before bath time, why not spend some time together drawing or painting? Perhaps you can take a nice walk around the block? Bath time should be a part of your child’s bedtime routine. It can also help adults settle ready for some quality sleep. The temperature of the water is known to relax the body and mind. And the sudden change from being in the warm water to coming out can help prepare the body and mind to sleep. A little play time can make this important event fun. When your child is ready to come out of the bath, try to keep the conversation limited and spoken in a quiet tone. Small children love having an extended cuddle time when they’re getting dried and dressed for bed. Warm fluffy towels and a big hug from Mummy can make this time of the day feel extra comforting and relaxed. Brush the teeth together, and pop to the loo. Finally, it’s time to hop up into bed. Your child’s bedroom should be dark and cool. The bed should be comfortable but also fun for children. You can find some examples of kids Cabin beds from Cuckooland online that may inspire you. Mattresses should be supportive for your child’s frame and allow them to stay cool all night. Pick bedding that features their favourite TV characters. These can all help your child feel secure and safe in his room. A night light may offer some comfort but choose one wisely. Shadows can often be the source of monsters for imaginative children. Something like a Gro Clock offers adequate light as well as a reminder that it’s not yet time to get out of bed. A soft rug on the floor provides a lovely play area, and soft toys help your child feel they’re in good company. 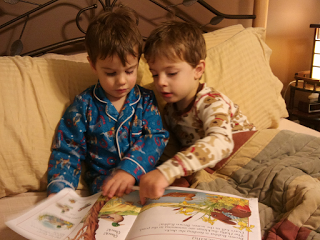 Two or three stories at bedtime, including one of their all-time favourites, is a great way to round off the day. Speak in a soft tone. The final story may end up sounding like a monotone, but you should notice your child yawning, laying back, and rubbing their eyes by this point. Most children’s stories are great fun at any time of the day. Some scarier or more dramatic stories may be best left until tomorrow! 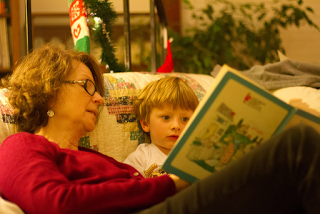 Cuddle up to your child when you’re reading a story. Share the experience, and let your child point out things on the page. You might ask one or two questions along the way too. This is quality time for the two of you to share. It’s comforting and supports the bonding process with your child. At the end of the story, close the book and put it away. Have a long cuddle with your little one and kiss their forehead. Tell them how much you love them and wish them sweet dreams. Finally say 'night night' and leave the room. Doing the same things every night supports their expectations. They’ll know what will happen and what is expected of them. Hopefully, they’ll soon roll over and drift off to sleep for the whole night. It may take a few nights of doing the same routine every time for your child to realise that ‘night night’ means it’s time to fall asleep. There are many techniques for putting your child back to bed if the repeatedly leave the room after bedtime. It could be worth sticking with one for several nights before trying something different. Patience on your part is essential, and you may need to clear your diary for the evening! But it will be worth it in the end for all the family to enjoy some quality sleep. Indeed facebook is doing a great job reminding us every especial occasions. 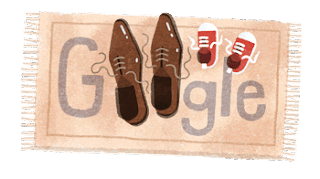 Just like today, I almost forgot that today is a very especial day for our dad, papa, tatay, erpats or however we call them. Anyway, our family isn't perfect. My parents separated when I was a kid. For many years I didn't see our father. We were all grown up when he showed up again. Our father may not be a perfect Tatay to us but I am still thankful for without him, we will not be here. To you Tatay, Happy father's day. I also would like to take this opportunity greet my boyfriend a Happy Father's Day. You may not the biological father of the little big one yet you stand as a real father to him. A shout out also to all the single mom out there. It’s often possible to employ your DIY skills for minor jobs at home. But what happens when something complicated goes wrong? In some cases, it’s better to leave anything complex or risky to the experts. Here are some scenarios when it’s best to leave your skills in the locker and call in the professionals. You may think that roofing looks relatively simple. But you’d be wrong. Roofers have experience in carrying out specialist techniques. They also use safety equipment to prevent accidents and falls from height. If you have a leak, or you notice a few tiles missing after a storm, resist the temptation to get up on the roof and have a look. Search online or use a local directory to find roofing firms in your area. Sometimes, it’s possible to fix the odd blockage. But usually with plumbing jobs, it’s wise to make use of professional plumbing services. In most houses, plumbing involves a complex network of pipes. If you hit the wrong spot, you could end up with a disaster on your hands. It’s very uncommon to find asbestos these days. But if you’re doing up an old house, there is a chance of asbestos exposure. If you think there may be traces of asbestos in your home, never attempt to remove it yourself. Always seek expert advice. Dealing with asbestos carries a high risk of illness. Even if you think you know what you’re doing when it comes to power sockets and plugs, it’s not safe to attempt electrical repairs. Always call in an electrician if you have problems with power or your appliances need to be safety checked. If you get it wrong, you could end up with very severe injuries. If you’re planning a makeover or you’re renovating a house, you may be thinking of doing some structural work. In some cases, it’s possible to save time and money by doing a bit of laboring yourself. But with heavy-duty tasks, such as knocking walls down, it’s always best to leave the experts to the job. Are you eager to do a little tidying up in the garden? Do you want to remove a tree to let more light into the living room? If so, this is definitely a job for experienced professionals. Never attempt to saw large branches or bring down a tree by yourself. 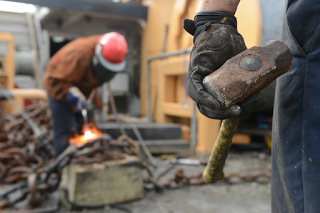 This is a dangerous job, which carries a high risk of potentially life-threatening injuries. Fixing things at home can be hugely satisfying. In some cases, it’s perfectly fine to have a go at some simple DIY tasks. However, there are instances when professional expertise is required. It’s always better to be safe than sorry. Many complex household jobs carry a risk of serious injury. If you botch DIY repairs, there’s also a good chance you’ll end up paying more. If you are thinking of tackling a job, seek advice first. If you’re advised to call in the experts, take this tip on board. You can often find local firms online. When you and your partner begin to make a family, life can suddenly take on new meaning. Pregnancy is a wonderful time in a woman’s life. And having your partner there to share in that makes it all the more special. So when you decide to make the arrangement a little more formal, you may start to consider having a wedding to celebrate. Engagement and Wedding Rings Choosing a diamond engagement ring is one of the most exciting times for a woman. Trying on lots of different rings can make you feel incredibly glamorous! There are lots of different cuts of diamond to suit your tastes. Check with your doctor if you think your fingers have swollen from the pregnancy. You can always select a ring size based on other rings you own. Diamonds look incredible in wedding rings too. You can have the engagement and the wedding ring inscribed to make them even more personal. When you hear all the usual bride tips saying you mustn’t gain or lose weight before the wedding, you may wonder how on earth you can even buy a wedding dress. Fortunately, there are plenty of incredible dressmakers and designers that specialize in dresses for the expectant mother. They are often fitted with a center or back panel that is elasticated. That way, there is plenty of room to grow! Of course, you may choose a style that hides away the little bump you’re sporting. This might be a preference now, but you may prefer to reminisce about your big day with your child in the future. It can be a lovely touch to wear your bump with pride at your wedding. The choice is yours, and there are beautiful dresses to help you wear the style you want. It’s a well-known fact that weddings are incredibly emotional. Add some pregnancy hormones and you have a recipe for a tear-stained face! Choose waterproof cosmetics for the day. Try to keep makeup light. That way, it will be easier to re-apply if you need to. If your hormones are playing havoc with your skin, ask a professional to apply it. That way they can work to conceal any blemishes without making the skin over sensitive. Hair can also be quite wayward when we’re pregnant. You might want to color it before your big day. Speak to your stylist about the best products for this. You don’t want any odd results or damage to your vulnerable hair. Hair is often extra thick and lush during pregnancy. However, try not to wear hair up too tight. Roots and scalp can easily be upset. Getting married while pregnant can be a beautiful way to celebrate the creation of your family. And it’s a wonderful way to celebrate your beautiful body shape. Enjoy your happy day. A summer with the family can be such an exciting thing to look forward to. The school is out and finished with, so no normal routines to stick to. However, when it comes down to it, it is a long time to keep every member of your family happy and content. With good weather and a little preparation, you can have summer sewn up in no time. 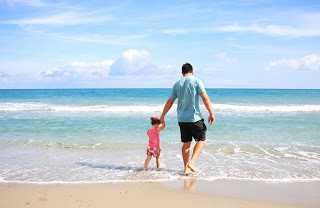 So I thought I would offer a little insight and tips on how to have an amazing summer with your family. No great Summer is possible without careful planning by the parents. Or probably mom more specifically. No one can go into it blind with any guidelines on what you are doing. Before you know it your children will be bored, and you will be tearing your hair out. You don’t need to spend days planning the whole thing. You can do it every week and plan to the next. This way you can leave time open for unexpected play dates or trips away. A great idea is to sit down with the children and create a summer bucket list. This includes everything you want to do and see. No matter how small or big, you put it on the list. Then it’s down to you to work out when you can do things and budget the costs as and when you need to. Taking day trips out every day will be a very costly thing to do. So mix things up a bit and try and add in as many free activities at home or in your local area as possible. However, the Summer is a great opportunity to do things with the family. So it would also be a good thing to do some research on the attractions you may want to take in. You may find that some offer discount codes for early booking. Or you may even come across some coupons online that will bring the cost down. Are you having a summer vacation? You may not have thought about it but would you be planning a summer vacation away? If so make sure you add this to your overall plan for the Summer. That way you know where you are going to be and for what dates. Summer is the perfect time to consider vacations like heading to the each for a few days or camping. 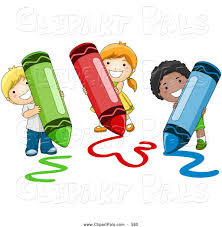 Children love activities like this. Camping especially can be a great vacation if you are looking to be more thrifty with your finances over the Summer. If you already have all the gear you need, then even better. However, you can pick up some great bargains on websites like eBay. Sometimes it can be just as fun staying at home and enjoying the garden. So if it needs some TLC then why not get some plans in place to upgrade your garden. You could add things decked area, a grassed lawn to play on or even a hot tub. Although you may want to ckeck out websites like hottubadvice.com for more information. The garden is the one place you have at your disposal. It can be the perfect place to spend the day without costing you a dime. So if it needs some love see it more as a future investment than a big cost now. You will get so much use out of it in the months ahead and even for years to come. The summer stretch can be a long time just you as a family together each day. It’s healthy to be able to have a break from one another. So you may want to consider some of the summer camps that are available for kids. You don’t have to send them away for long periods; you could opt to do a week or weekend with some of them. They can be great for kids to learn skills like socialisation and independance. While giving you a break to rejuvenate fo the weeks ahead. The children are entertained from the moment they arrive so you have no doubt that they will be enjoying themselves with their friends. A long term project over the Summer could be just what your family needs. A great idea would be to consider gardening. 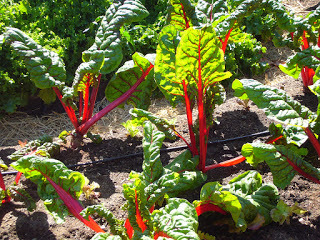 You could encourage growing their own vegetables and fruit trees. They will love watching them grown and learning all about it. You may find that it could encourage any fussy eaters you have to try new foods. If growing food doesn’t appeal, then they could consider planting flowers and designing their own flowerbed. Children will love getting involved. This means that at any point your children have something to entertain them, and it doesn’t involve the computer or television. We can get a little consumed in our routines sometimes and forget to be in the moment with our families. The summer is the perfect chance to put down your phone and get involved in what your children are doing. We are always saying how time goes too quickly and that children grow up fast. So why not make the most of the quality time together? Getting outside and enjoying the good weather should be high on your priority list for Summer. This is where you can encourage many activities including bike rides, walks, water fights and garden games. Too often you find children sitting in their bedrooms playing computer games or watching cartoons. They don’t get outside enough and explore new and different things. So make sure you encourage this over the Summer. It is the perfect time to do it. Finally, it will be worth making a little activity jar for those afternoons where the weather isn't the best. This will include art and craft projects and such. It will also be good to grab the jar when you have not got much planned for an afternoon or perhaps a play date has let you down. 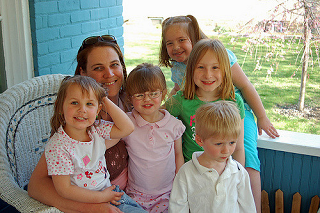 It is an excellent backup plan and means you have less risk of having bored children. I hope this has inspired you to make the most of the Summer with your family this year. Updating or remodeling a kitchen is necessary in an older home, but it does not have to be a difficult process. Even small updates can be made in the form of new flooring or new appliances. For kitchens that need an entire remodeling, there are professionals who can help; taking the burden off of the homeowner's shoulders. Older appliances tend to malfunction more easily, have a higher risk of needing repairs, consume more electricity, and they do not have as many features as their newer counterparts do. Appliances can be purchased from home improvement warehouses or from rent to own stores. Rent to own is an affordable option for homeowners who require a payment plan, which makes small scale renovations possible for those who are still recovering from the financial burden of relocating. Stripping and replacing old flooring can make a big difference in a kitchen that desperately needs help. If the kitchen has vinyl or linoleum flooring, it could be replaced with a beautiful hard wood floor. 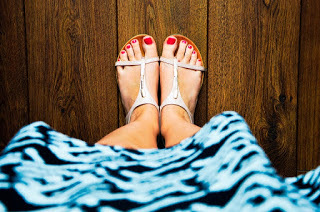 Hard wood floors add a bit of elegance to any living space, and are relatively easy to clean. They are much less likely to stain or sustain damage than other flooring types are, making them the perfect fit for a family that has children or pets that might spill items, scratch floors, or become rambunctious. For a remodeling overhaul, the kitchen can be stripped of all cabinets, lighting fixtures, flooring, and wallpaper in favor of a modern kitchen that is more appealing to the homeowner. An updated, elegant kitchen can significantly increase a home's value, which is important to consider for those who plan to sell the home in the near or distant future. A home remodeling contractor could even take over the entire project, allowing the homeowners to attend to their jobs, errands, and other important events. A professional remodel also takes the guesswork out of the job, so that homeowners do not make common, costly, time consuming mistakes. Remodeling a house is a rewarding experience, especially when the kitchen is included. Even the smallest renovations can make a kitchen more appealing and welcoming. Keeping a home up to date is very important for its resale value, otherwise it may have a difficult time selling even in a booming real estate economy. Anyone who has ever had an outdoor space at their home knows that they are rarely hassle-free. The benefits of being able to enjoy the area are balanced with the knowledge that maintenance is going to take some of your time. With this need comes the necessary evil of often-expensive tools. These can clutter up your garden, and no one fancies dragging their muddy, often wet, tools through the house. So when it comes to storage, it’s best to opt for an outdoor area. Unfortunately, this can also be the prey of thieves or unwanted damage, so here’s a few tips to keep things safe. 1. Lock everything you can. 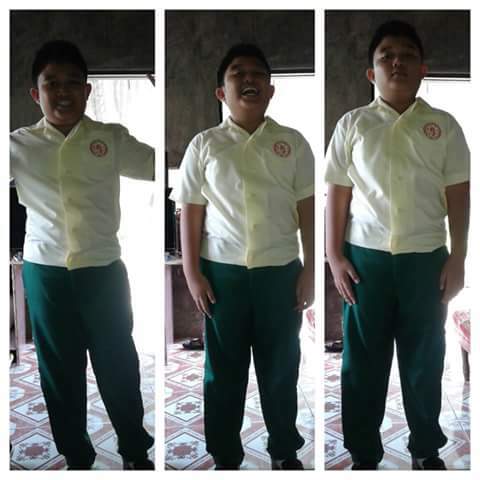 Commons. Don’t assume that just because your garden tools are behind a shed or garden door that they are inherently safe. Clever thieves may take advantage of you being away from home to jump on the opportunity without fear of surveillance. 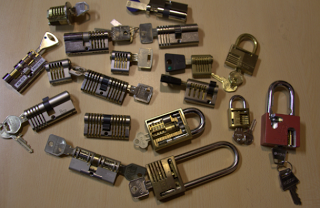 Locks are not unbreakable, but they may also make even the most determined of thieves resolve to try another house with no such precautions. 2. Keep the protective packaging. Even basic items such as hand saws will include some form of protective packaging. This is often a plastic or cardboard sheath to protect sensitive mechanisms from damage. It's easy to discard this, but it’s there for a reason. Ensure all blades are sheathed, and cover items with water and dust-proof sheeting to prevent unwanted damage. Commons Sheds are a excellent tool for the outgoing gardener, but sometimes you need something a little more substantial. While a clever thief with a saw might see a wooden shed as a possibility, bricks and mortar are a far more considerable foe. 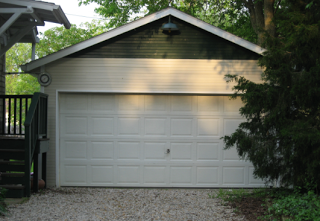 Garages don’t need to be huge, just enough to lock things away from prying eyes and damaging elements. If you have a garage, it’s essential that the door is secure. For peace of mind, find out more from Neighborhood Garage Door Service Company. You may be tempted by an alarm system for outdoor security, but these have limited effect. Every neighbourhood soon becomes accustomed to the sound of malfunctioning alarms, and apathy has set in. An outdoor light is one option that could, however, bring a thief to a halt. With the dead of night being their natural hunting ground, a glare of light is more likely to have them turn away. No one wants their transgressions in full, fluorescent view. 5. Thorns are your friends. 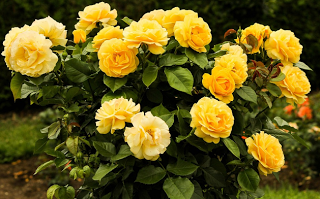 You can pack your gardens with a natural deterrent that has a side bonus of looking pretty. Rosebushes are full of thorns. If you plant a few to be negotiated near where you store your tools, a burglar will be encouraged to look elsewhere. You want to force a choice between choosing another house and yours. With a few precautions, you can limit the losses you may otherwise suffer from your outdoor pursuits. 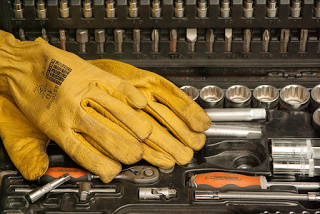 Maintain everything you install, so when you put your tools away, you know you’ll see them again. So, here I am again having a hard time composing this blog post. Thoughts keep coming on my head but I cannot focus in one topic. I don't know what seems to be wrong. Perhaps its my son that is sounds asleep. His snore is disturbing me.. hehehe.. (joke). Hence my thought is wandering in wonderland I might just share the thoughts I have now. First, I am asking myself, where is the boyfriend. We agreed to chat in between 8:30-9 pm my time. It's almost half hour past 9 pm but no message from him yet. The only reason I have in mind right now it that he fall asleep while watching the television, he is nit feeling well, eh. And talking about the boyfriend I recieve a message from him, just now. I shall take a break and continue this post later. Another thought I have in mind is that, I am gaining non-stop! I must do something to stop adding my weights. It is frustrating when I cannot buy the clothes I want because it doesnt fit me good or it is not good to look at because of my bulging tummy. I will be starting to drink detox juice, real soon. Hopefully this will help me get rid few kilos (fingers cross). I am back, as I mentioned earlier I will finish this post after talking to the boyfriend. However, I am getting sleepy. I don't want to fall asleep holding my phone. So goodnight folks! 'Till my next blog post. 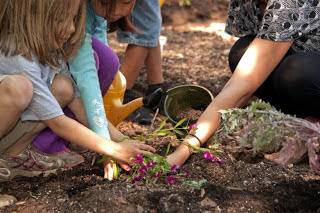 Okay, so you need to plan some fun kid friendly activities for the summer. One of the best activities is going swimming. You get to cool down; the little ones get to let off some steam, and you can all enjoy the sunshine. 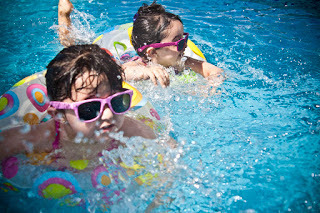 Remember if your little ones can't swim yet, never leave them unaccompanied in the pool. Make sure they have water wings or a rubber ring to help them stay afloat. Another great summer activity is going to the park for ice cream. Ice cream is a fantastic motivator, and you can have hours of fun in the park, playing on the equipment and enjoying the outside air. 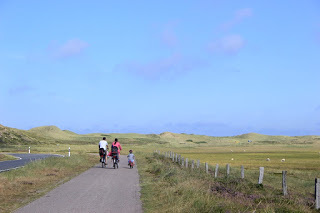 Try taking a ball or frisbee or getting the kids to ride their bikes there and back. You'll be guaranteed a good night's sleep as everyone will be tired from the fresh air. Another thing most people do to get ready for summer is to book a holiday. Vacations are a fantastic time to relax and get away from the normal daily grind. You might want to go somewhere that has a beach or go camping in the forest. Whichever location you choose, make sure you use a good sunblock, because even if it is cloudy, there can still be UVA rays. Before you go, make sure to pack the sort of clothes you will need for the trip. Swimwear, towels, hats and linen clothes are good for hot or beach locations. If you are going camping, walking boots, shorts, hats and scarfs are needed. Don't forget the bug spray either! Make sure you have a waterproof jacket too in case the temperature drops, or it starts to rain. As summer edges ever closer, you are probably thinking that the garden and house need sorting out too. It is so nice to have a pleasant garden in which you can enjoy the summer. It's vital to be able to step outside to cool down if the weather gets too hot. 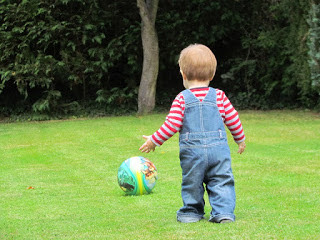 It is fun for the kids to have some activities that they can do in the garden to like swingball, a goal for football or somewhere they can ride a bike. If the house needs some sorting too, make sure that your air conditioning repair is working. If it is not working, speak to a company that offers air-conditioning repair before the summer hits. Also, make sure you have enough ice and cold drinks as the summer starts. Lastly, you are probably thinking, that you need to get yourself summer ready too. You could try highlighting your hair this summer, giving the effect of a sun-kissed look. Many people also use fake tan products to get a summer glow. Make sure you exfoliate before applying the product and use a glove, so you don't get orange hands! Treat yourself to a manicure and pedicure and double check that your feet are buffed and sandal ready. Pets of any kind can be a great addition to the family - and at some point, it’s almost guaranteed your children will bug you to get one! The trouble is, it’s an enormous responsibility, and it’s a decision that you shouldn’t rush into. Here is a quick guide for anyone out there who is considering adding to the family with a domestic animal. Will you be there for it? If you get a pet, you are going to have to be there for it at all times. It’s especially true for dogs, who are social animals - and they will be upset and do naughty things if left alone for long periods. So, if all the kids are at school all day and you are at work, is it fair to keep an animal? 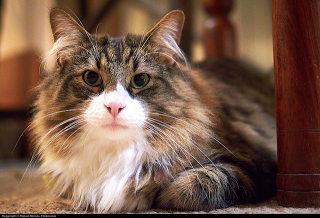 You might be better off with getting a cat in these scenarios, as they are far more comfortable in their own company. Pets can cost you thousands of dollars a year - so be prepared to make a financial commitment as well as an emotional one. You’ll need to pay for the animal when you first get it, and maybe all the tests and injections they need. 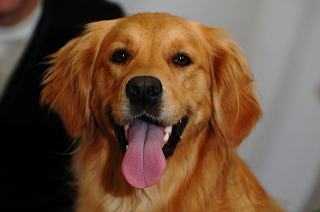 There’s the cost of food - which can be enormous if you have a big dog, for example. And, there is the ongoing treatment, veterinary bills, and insurance - which is an absolute must in the long term. Can you put up with the big issues? 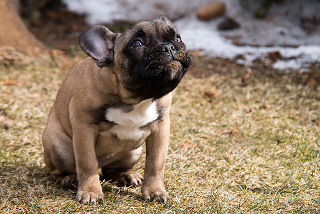 Cats and dogs get many problems, from worms through to ticks and fleas. And, unfortunately, they get them often - even a walk in the woods can bring home a nasty invader. If you are squeamish about such things, you should think again about getting a pet. They will all suffer from these issues at some point. There is plenty of treatment out there from brands such as K9 advantix 2. It’s best to be preventative as much as you are reactive. 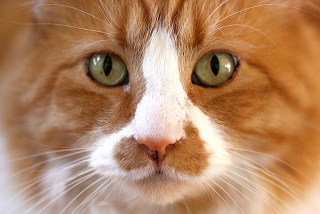 Cats, of course, can exercise by themselves, but you will need to take your dog out for regular walks. Be careful about the breed you buy, too. Great Danes, for example, might well be enormous, but they only require a walk once a day. Working dogs like collies are completely different. They need a lot of exercise to function well, and you will need to spend at least 2-3 hours out and about during the average day. Will it be part of the family? If you can answer positively to the above questions, there is one final one to answer: will that pet be part of your family? It can be tough to imagine the impact a pet can have, and the responsibility that goes with it. Just like a child, you’ll need to teach it where to go the toilet, be there when it is upset, and care for it when it is sick. When you consider the amount of time it will take, you have to be sure it fits in with your family’s needs. If not, it might be worth postponing your children’s wishes for a while. As we all know month of June is a famous month for weddings. But here in my other part of the world June is not just about weddings, it is also a time to go back to school. Yeah! You read it right folks. I am not sure about you, but there is something about the month of June or the back to season to be pricise that makes me ecxited (although it means a lot of expenses). Perhaps its the excitement of having a chance to shop! Or is it the chance of seeing fellow excited mommy's with thier children getting ready for the big day. 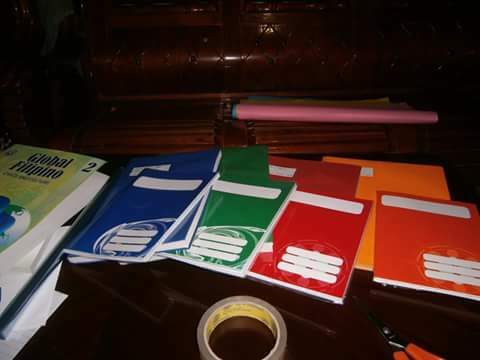 The colorful covered notebooks, maybe. 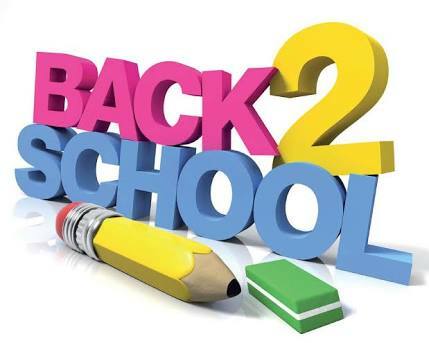 Whatever the reason it, one thing is for sure back to school is one of the most awaited time of our little tots aside from holiday season. As a Mom, I always make it a point to prepare everything before the first day of school. I remember, I onced covered the book of my little big tot with colored paper. The reason- I only want his book covered with same color of his notebook. Anyways, I more like the covers of notebooks nowadays. The plain color makes it clean and simple. Back in my time, locals artist and cartoon characters are famous notebooks covers. My Mom usually buy those with teens artist hehehe. Prepare your cams fellow mommy on the first day of school. Capture the moment.